Do you feel like you spend more time drawing a client's home than designing their outdoor living space? Is it sometimes tedious to get their home to look exactly right? Or is it time consuming to measure everything you need on their home? Wouldn’t it be cool if, instead of painstakingly drawing and measuring every detail of your client’s home to use in your design, you could simply design around a scaled 3D model? And wouldn’t it be neat if your drone could capture more than just nice pictures? 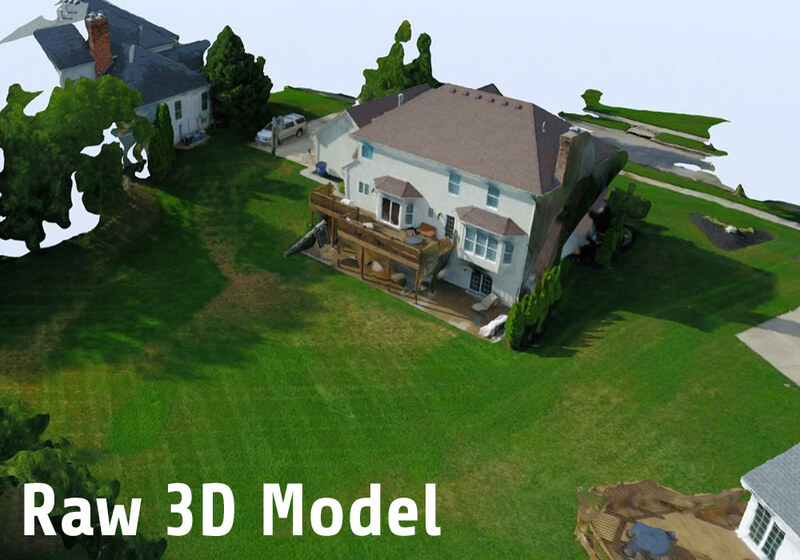 What if your drone could give you a 3D model of your client’s home, right now, in Vip3D? 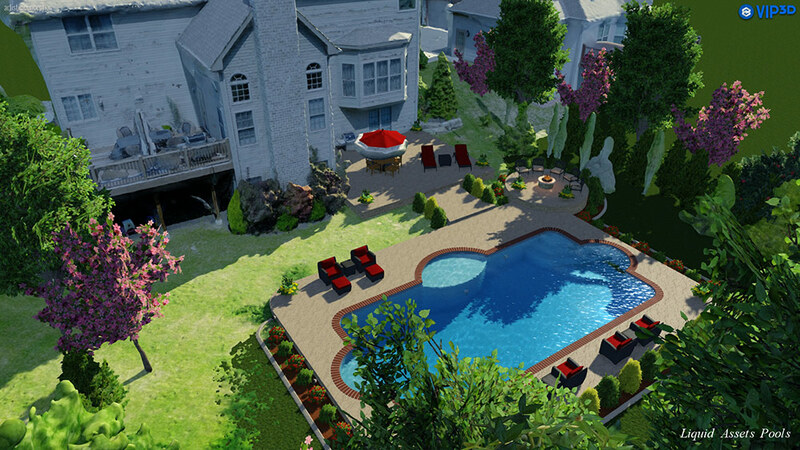 Drones present an amazing opportunity for pool and landscape designers. 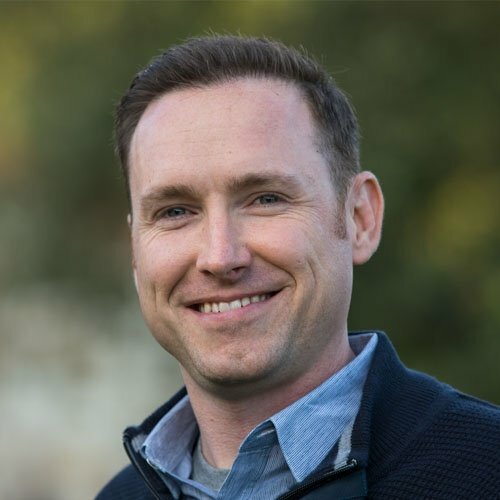 Olivier Küng, the co-founder of aerial drone mapping software Pix4D, highlights one reason why: drones are a fantastic way to transform 2D images quickly into 3D. "You can now gather instantaneous, high-quality 3D maps of the world, up to 10x more precise than satellite imagery." More importantly for designers, advances in technology mean that the "military, government, and large corporations are not the only ones anymore who decide when, where, and how this aerial data gets taken." Now, new technology and new upgrades mean that even a first-time user who has never before flown a drone has the ability to capture absolutely stunning images. "The real question," according to Küng, "is, what would you do with it, if you had this flying machine, this powerful software, and its thousands of eyes?" Designer Jim Wolfe offers one exciting answer to that question. 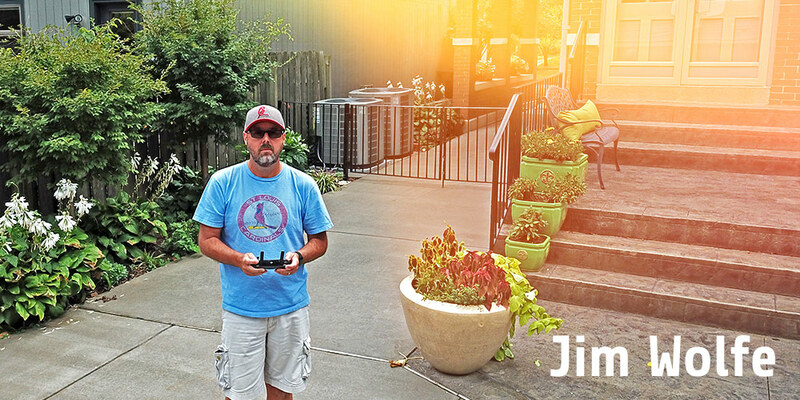 He uses drones to map client properties in 3D, giving him the precise, accurate, and incredibly detailed information he needs to create beautiful designs for his clients. Until recently, the most reliable way to get good images of a client’s property was to use aerial imagery. Google Earth and ultra-high-resolution GIS images provide tremendous amounts of information useful to designers — but sometimes a designer might want more images (or more recent images) than Google Earth and GIS images provide. That’s why, when Jim Wolfe’s kids asked him to get a drone, Wolfe — a self-identified "techie nerd" always quick to embrace the latest technology — realized that drone technology was so advanced, he could use it to capture 2D images that revealed every precise detail of his client’s space. After Wolfe upgraded to what he describes as a "pro-sumer" drone, he found that he could do more than just capture 2D images: he could use his drone to generate 3D images. "I don’t actually go to a site without the drone in the car anymore," Wolfe says. "It’s amazing technology. . . . You can measure anything that you want. That model is 100% accurate as far as scale goes, too. Whatever you’re building is accurate. The only time I take my tape measure is if I'm doing a rehab job, to put it on the ground to have a point of reference." The 2D images that Wolfe used his drone to capture were vividly detailed and impressively high resolution. While he found them useful, he was far more pleased with his results when he learned that drone mapping software had advanced to the point where he could upload those fantastic 2D aerial images and quickly generate an accurate 3D model. As a user of Pool Studio and Vip3D, Wolfe knew there had to be a way to import that 3D model into Vip3D, ready for him to use as the basis for his next design. "So I got my drone out there," Wolfe says, "shot the photos, generated the model," and opened the file into Vip3D. Once the 3D model was in Vip3D, Wolfe could quickly and easily edit every detail: "I had the existing site, with the slopes and the elevation, and the existing model of the house and the fence and the trees and whatever. Then all I needed to do was add the new stuff. Throw in the pool and the decking and away you go." "It’s amazing. It lights up the deck, or it lights up the backyard. It lights up whatever’s there, because it’s an actual three-dimensional model. You’re not importing a 2D photograph that you have to pretend to light up. This is an actual three-dimensional entity . . . and it looks great." "I do a circle and then I manually take photographs every 2-3 seconds," Wolfe says. "You use the drone software to fly the drone in a perfect circle. You point the camera down at 45 degrees. So it’s actually shooting. You’re capturing the front and the side and the back of everything, as well as the top of everything, at 45 degrees. That first circular path is +/- 75 feet in the air. It depends on obstacles around the house, like trees and whatever’s around." For most projects, he uses the middle of the backyard as the center point of that circular flight path, since that is where the pool typically goes. While software like Pix4D can manage the drone’s flight path, Wolfe prefers to use the drone’s own software to fly and capture photos. "That first circle generates about 25 or 30 photographs that are stored on the drone’s memory card. Then I raise the drone up, probably about 30 feet, and I point the camera closer to vertical, to about 70 degrees, so it’s capturing more of the top of entities." The second circular flight path follows the same route as the first, and captures images at a new angle. "Those images are all stored in the drone's memory card. If all I need to generate from that site is the 3D model, then I’m done. I land the drone and I go home." 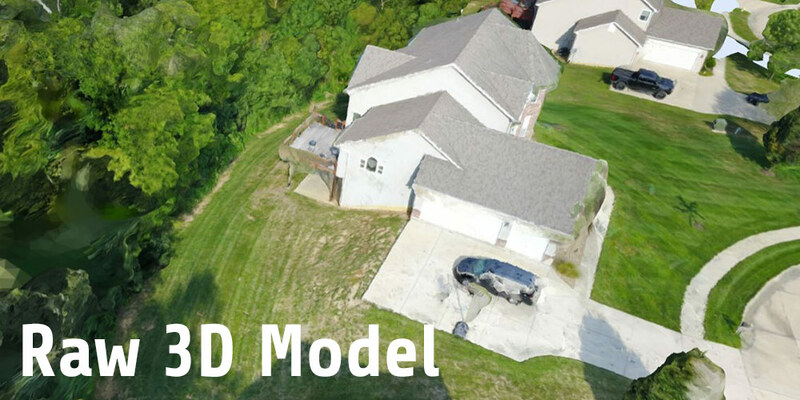 Using a drone along with drone mapping software (like Pix4D or DroneDeploy) makes it easy to generate realistic scaled 3D models from the 2D images that the drone captures. Capture 2D images of the property with the drone and save the images to a memory card. Upload the images onto a computer and then to the cloud with Pix4D or DroneDeploy. Generate a 3D model from the uploaded 2D images on the cloud. Delete any undesired parts of the raw model. 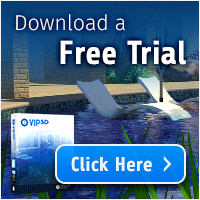 Import to your Vip3D Object Library. Once the 3D model is imported into Vip3D, you can start designing around the model. Everything from the pool to the lights, the deck to the ambient sound, can instantly be designed around the new model to make it come alive. "Because it’s a 3D model and it’s a solid 3D surface," Wolfe points out, it’s incredibly easy to edit the results. "I use Pix4D to generate the model," Wolfe says, "because it gives me a bit more freedom if I need to edit the model." 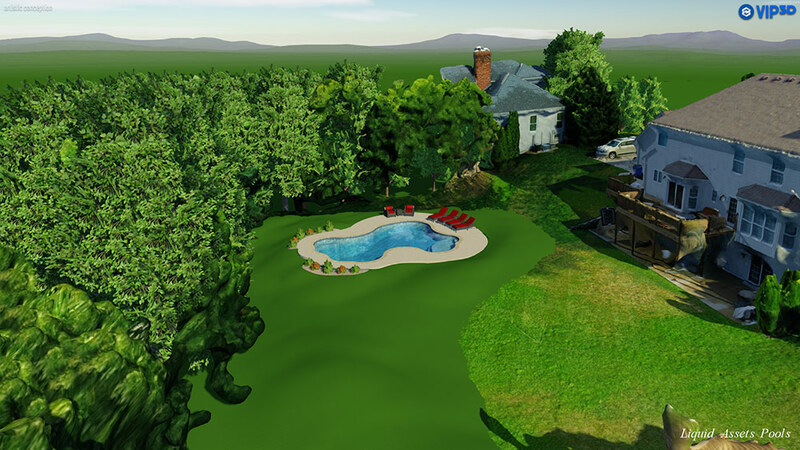 For example, if Wolfe needs to cut a hole in the model for the pool and decking, he says, "I can actually trim that model out with Pix4D’s software and just get rid of the part of the yard I don’t need." The results, as Wolfe says, are spectacular. While drones were one of the most popular tech gadgets this year, with sales more than doubling since last year, relatively few small businesses are taking full advantage of them. Drones have now become so popular, however, that the FAA, recognizing that "there could be as many as 7 million drones sold in the United States by 2020," has begun collaborating with drone operators to make it even easier for businesses and non-hobbyists to use drones in innovative new ways. With even regulators recognizing that "the pace of change is breathtaking," now is an excellent time for designers to take advantage of the latest advances in 3D drone mapping to save time, design even more incredible projects — and grow their business. Do You Already Use a Drone? Many people are eager to put drones they’ve purchased to use: in a little more than a year, 770,000 people registered with the FAA. This is in part because, as the FAA itself points out, "Innovations throughout the small unmanned aircraft community have captured people’s imaginations." Today, with increasingly powerful cameras and faster software options, drones offer great new opportunities for small business owners and designers. 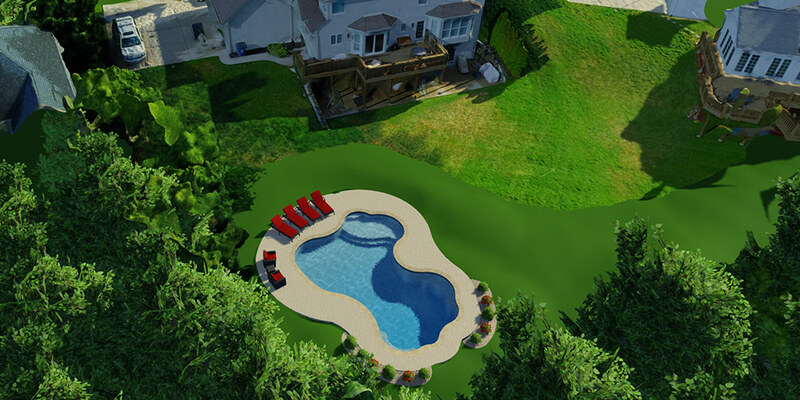 That means pool and landscape designers and builders — who use vividly detailed and stunningly realistic 3D presentations to amaze clients and capture their attention — can now take advantage of the new user-friendly drones (and equally user-friendly drone operator rules) to create even more incredible plans, faster than ever before. 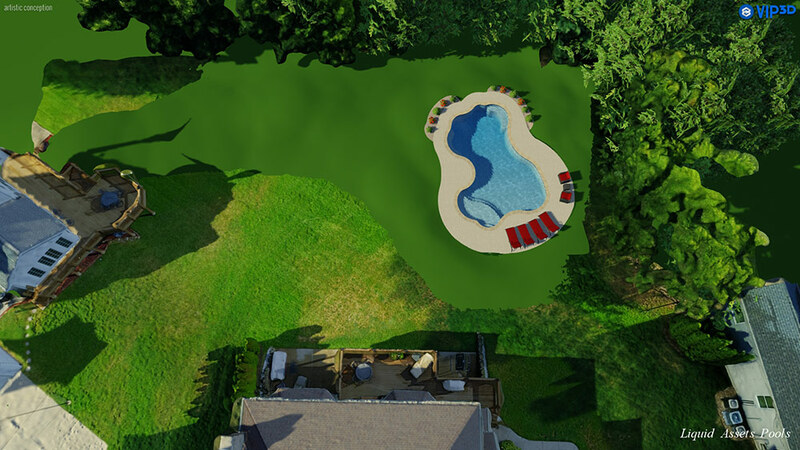 In fact, it is now possible to fly a drone over your next client’s property, use aerial drone mapping software to generate a 3D model, and then import that model into Vip3D to design your client’s new outdoor living space around — quickly and easily achieving incredibly stunning results. 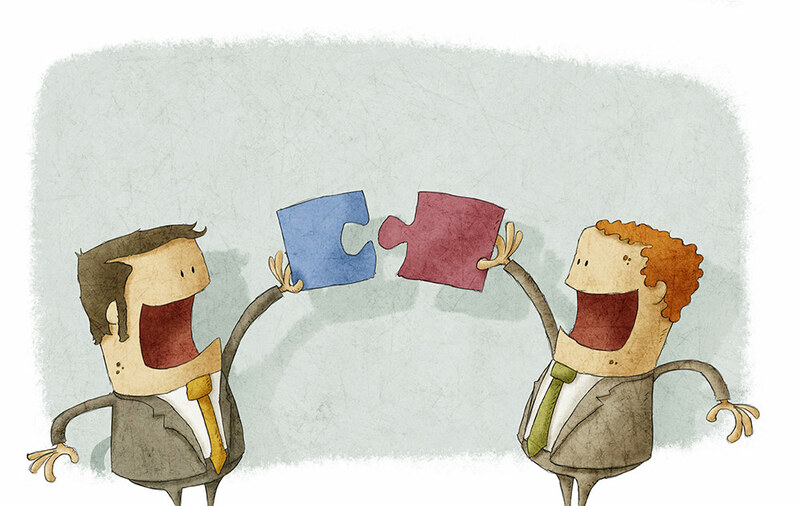 Ready to Create Your Own 3D Model? Save time on your next project: transform the beautiful 2D aerial imagery you capture with your drone into a 3D model, ready for you to import and edit in Vip3D. Whether you already own a drone or you’re ready to buy your first one, it’s easy to use drone mapping software to create 3D models so incredibly precise, you can take measurements from them as you quickly and easily customize every detail of your design with Vip3D. Drone images must be captured with good lighting, which means it won’t work in bad weather, near dusk, or at night. Drones are not allowed to fly in all areas (even with the business-user-friendly FAA regulations). In heavily populated areas or anywhere near an airport, drones are not permitted. The 3D model generated by Pix4D or DroneDeploy will need to be edited to make sure it includes only what’s needed for your design. We're really excited about this new technology. When you give it a try, let us know! If there’s enough interest from our Members, we’ll add native support for these files to Vip3D. How Much Will a Swimming Pool Increase the Value of a Home?